Dratzo! Events continue to happen behind the scenes! A number of key edicts were signed and then summarily ignored by the dark. This ultimately is a grand faux pas for the dark. It has only intensified the need to legally or otherwise push this dark cabal from power in a number of major nations. Implementing N.E.S.A.R.A. is now a major priority for the various coalitions that are moving to free humanity from their grasp. This is occurring, as the dark remains able to provide its major minions with a seemingly endless degree of wealth. This wealth is wrapped in the pain and suffering of most of your populations. We are constantly disgusted by what is happening. Yet this new focus, with our assistance, can now lead you to a swift victory. Many actions are afoot, and we expect visible results to manifest quickly. Timed events are now progressing through a number of meetings that we held with our earthly allies. The dark’s arrogance is to cost them dearly and cause their defeat. Their demise is to lead to new governance and a new financial system tied into a great prosperity for all. What the ancient families and the many secret sacred societies realize is that a special bond, broken by the heinous deeds of Atlantis, needs to be restored. The Anunnaki carried on with their policies over the past 13 millennia. The bond between Agartha, Earth’s surface humanity and the Galactic Federation requires a most public restoration. This event is really to be the seed that births a new solar-system-wide star nation. Those who are currently finishing off the dark cabal understand this and are working with our liaisons to make this an open reality. What is next for you is not just a new monetary system. It is, in fact, the foundation for a series of reunions that are to return you to a number of noble truths. The most important of these is your off-world origins and your relationship with your galactic human family. Next, there is your connection to all life in physicality. We are all, in essence, physical angels. We possess a mutual responsibility to unfold the divine plan here and throughout physicality! Various responsibilities were abandoned by the dark when they plunged you into the travails of limited consciousness. This scurrilous act was the precursor to all that you encountered over the past 13 millennia. We watched as these dark ones worked carefully with their allies in the Anchara continuum to continue to deny you your natural sovereignty and work deviously to turn you into a slave race. This abomination is to end now! You are in reality being returned step by step to your former fully conscious state. We are here to assist in this special process and to permit you to once again work in harmony with Gaia and the rest of the planets that surround your great Sun! 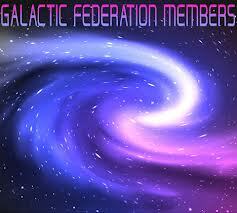 This star nation is truly to be a most incredible and welcome member of the Galactic Federation of Light. You are the key to a galactic peace and to a grand union that is to encompass all sentient beings residing in this galaxy. In this context, you are in fact the prophesized lynchpin for the next series of epochs that comprise our mutual histories. Your Ascended Masters live in harmony in Agartha and are the forerunners for what is now occurring. You need to visualize Gaia and her many sister worlds as living beings who possess special qualities given them by the Creator. We have a sacred duty to protect and sustain a wide variety of eco-systems on these worlds. Moreover, we require a special relationship with the Sun and these interrelated realms. Each world shares a great unity with her sisters. Our mission is to use our time on these worlds to make them well and to sustain an interlocked, diverse and wondrous series of eco-systems. Each star nation sees this as a primary shared duty. We discuss this with each other and work to spread the energies of the Divine throughout this galaxy. We are blessed, and intend to bless each part of this galaxy with our sacred works. These deeds aid us in gaining a better understanding of how physicality was born and how we can assist in its effortless expansion. We are special wayshowers and unfolders of the divine plan. Namaste! We are your Ascended Masters! Much is happening around this globe! At present, our blessed associates are freeing you from the clutches of the dark cabal’s intent to start some type of a major conflagration. These efforts are doomed to failure. The global reset of the world’s currency is now occurring along with the growing announcements of many nations to move toward a precious metal currency. Hence, international banking is slipping from their grasp as new and strict banking regulations come into effect. These are mere preliminaries to what lies directly ahead. N.E.S.A.R.A. is to be implemented shortly. Associates have made great inroads with a series of secret meetings between themselves and a group consisting of the ancient families and those who are recipients of vast depositories of gold, silver and precious stones. Their purpose is to legally overthrow those who now control many of the world’s governments. Your world stands on the brink of a new reality. The change in currencies and the new banking system are just the beginning of a pathway that is leading to N.E.S.A.R.A. This development is to free you from the last attempt by the cabal to stay in power. While all of this is happening, Heaven is preparing to give you a higher set of gold and silver cords. These are to invoke in you a degree of increased bouts with headaches accompanied by a general queasiness and a feeling that you are shaking inside. These symptoms are to abate as you become more accustomed to a higher energy field flowing throughout your body. These alterations are to prepare you for the coming of your Galactic Federation mentors. With these transformations in place, you are ready to have them interact with you on a daily basis. This time is one for healing and for an acceptance that the moment for great changes has arrived. The Heavens are strongly proclaiming your spiritual and physical liberation from the lies and manipulations of the dark ones. Heaven is decreeing that you are now to start the path to your physical ascension. This is why you are seeing events that are gathering momentum for a final event that is to gently allow you to enter a new reality filled with prosperity, new governance and the instruction by us of various truths that are to set the stage for a wondrous reunion with your spiritual and space families. We are your heavenly shepherds. We gather forth the vast flocks of humanity and steer you onto a path that is to allow you a return to full consciousness. It is then that we can fully instruct you on your great heavenly responsibilities. Hosanna! Hosanna! Hosanna!